That I want you so! Come on, give me a break will you? 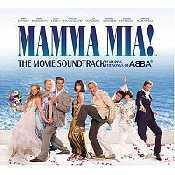 - Álbum "Mamma Mia (The Movie Soundtrack)" del año (2008)	.